Hardworking and smart, Samuel dreams of working in the engineering field someday. He is currently at the top of his 10th grade class and is the only member of his extended family to be able to attend secondary school. He feels this to be a great privilege, and is determined to bring his family out of poverty. Samuel’s parents separated when he was young, and he and his mother and siblings moved in with their maternal grandmother. When she passed away, Samuel developed an illness that forced his family to sell off the lands left to them by their grandmother in order to afford treatment. He is now determined to earn back that land and erect a house for his mother and family. 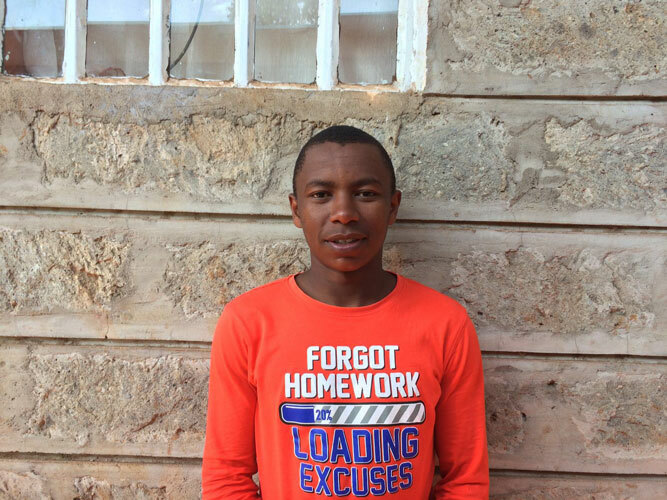 This determination drives him to attend school regularly, though he must often ask his friends’ families for money to afford transportation to the school, and he fears that he will one day be sent home from school due to missing payments. Your sponsorship will pay for much-needed needs school fees and other basic necessities such as school supplies. Samuel deserves to live without the fear of debt at such a young age. He needs the security that all he needs to do is keep working hard and dream big. Samuel has a promising future, and he wants to give back to those who believed in him.